We know there’s nothing more powerful than parent to parent recommendation, the power of conversation between two people who trust each other (92% trust friends and family recommendation over any other form of advertising). And when that power is combined with a fresh approach to the high street and something kids love we know there’s a new hit on the horizon. Smiggle. It’s where a smile meets a giggle. Either that means absolutely nothing to you and I’ve just taught you a new word. Or you’ve broken out in a cold sweat as you know exactly what it means, your kids are obsessed with it and your bank balance is suffering as a result. For those not in the know Smiggle are an Australian retail brand that sell colourful stationery, bags, lunchboxes and drink bottles. If you’re a stationery addict you’ll love it, if you’re the parent of a kid who is a collector or loves bright, shiny things then you’re bound to be in store very soon. I had a teeny stationery habit when I was a teenager (I don't think a collection of 120 rubbers is too much?) which a. may have strayed into my adult life – see picture below and b. obviously is genetic as my kids have the same problem. My local store hasn't even opened yet so we’re off to explore the Manchester store next week…I’ve already bumped the limit up on my credit card. 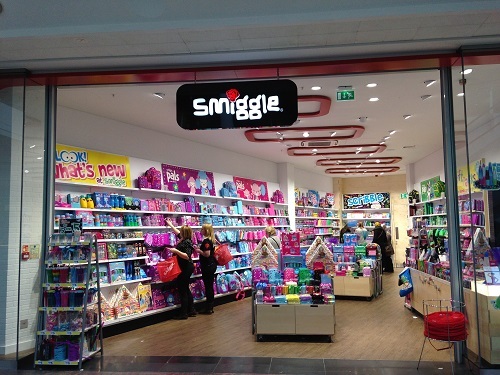 The first UK Smiggle opened in 2014 and there are now 67 stores in the UK with plans to have 220 by the end of 2018. But you might be wondering how I heard about Smiggle when I haven’t even stepped foot in one. It all started with that line, ‘Have you been? Your two would love it’. 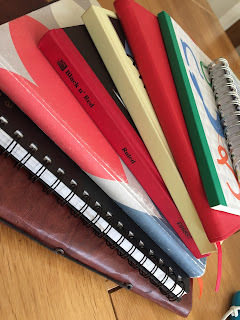 Lynne (MumPanel founder) has a daughter the same age as mine and they have a common love of stationery. Lynne mentioned Smiggle in passing a couple of times over the last few weeks and then when we were discussing Christmas trends she said the Smiggle calendar would be the big thing. 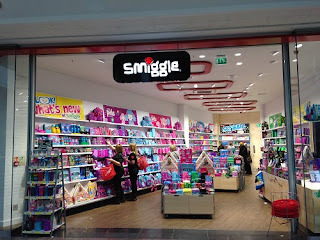 At this point Smiggle weren’t even on my radar, I hadn’t seen anything online and we didn't have a local store so my trusted mum friends weren’t talking about it. So Lynne filled me in and as we were going to a meeting she pointed out the Manchester Arndale store (trust me you won’t miss it and neither will your kids!). I immediately knew that my daughters would love it but it would also be useful for me because I could get back to school kit, birthday presents for their friends and cheap pocket money treats. Win win. Then the power of word of mouth took over. I had information from a trusted source so I took that and shared it with my friends, who shared it with their friends. And all the time Lynne was sharing it with her friends, who shared it with theirs, and theirs and theirs. Until it’s reached thousands of people. The power of one single conversation is spreading the word about Smiggle. And it’s happening in a natural but trusted way driven by parents desire to share information. When we work on spreading the word campaigns clients sometimes don’t understand how a small team of well-connected amplifiers can successfully get the word out there. But that’s all you need – if your product, service or concept is good the power of one conversation amplified many times over does the work for you. And although there's a trend at the moment to only talk about online and celebrity influencers you have to carefully consider where you audience are (what about those who don't have a facebook profile?) and who they really listen to. Remember that 92% of parents trust friends and family recommendation over any other form of advertising. The power of word of mouth can be hard to harness but if you know the right people to start conversations it can create loyal customers and put more money in the till. We’d love to hear about the products or places you heard about from other mums or your experience of Smiggle.